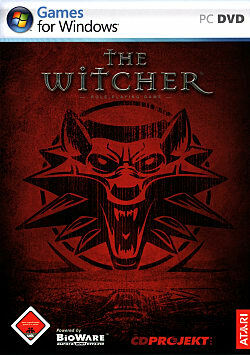 Become The Witcher, Geralt, a legendary monster slayer caught in a web of intrigue woven by forces vying for control of the world. Make difficult decisions and live with the consequences in a game that will immerse you in an extraordinary tale like no other. Soon, CDPR fans will be able to get all kind of sweet merch for their favorite games directly from the source. Despite Geralt's story being all told in CD Projekt Red's first three The Witcher titles, the White Wolf could still play a role in a new entry in the series. The Witcher's Geralt of Rivia will join the cast of Soul Calibur 6 when it releases later this year. Read on for the details. For 10 years this groundbreaking RPG series has spawned everything from terrifying monster cosplays to unbelievable, genre-bending fan art! Many games begin life having been inspired by something but I bet you didn't know that these games started off life in print. The wildly popular RPG and book series is set to make its debut on the small screen as a television series developed and produced by Netflix. Naughty Dog crush the competition by winning a total of nine -- including seven platinum -- awards, including best game and best studio of 2016. CD PROJEKT RED is hiring for a whole bunch of positions. Hopefully, this means good news for the progress on the anticipated Cyberpunk 2017. Take this quiz to find out what kind of video gamer you are. Got a special someone who loves video games AND table-top gaming? Look no further! This gift guide will tell you about some of the most interesting board games available! You a fan of the Wither Series, if so come and tell us why you loved the game so much? For some, the process of reaching the top (beating the game) is more fun than actually reaching the top. Take a look at the very last adventure of Geralt, the Witcher in this huge story expansion, titled "Blood and Wine." Here's all you need to know about it. Celebrate a new The Witcher expansion with a massive sale on GOG.com. Have you ever wondered how Batman would look like in Darth Vader's mask? Check out how face-swapping works for these popular video game characters. The Bartle Quotient: What Makes Games Meaningful to You? No one has reviewed The Witcher yet! Played The Witcher yet? What did you think?